This flag means that umount will work in lazy mode, when the filesystem is detached immediately, but all the cleanup will be done when possible. You can also use the following command to unmount all CIFS/Samba shares. After some debugging, I’ve found out that the problem was due to the fact that I was running the build process using sudo -s -E command, which gave me administrator rights, but kept some environment variables that messed initscripts-related commands (service, status and other from upstart package), on which build process relies. The solution is to build vmware-tools under clean environment for root user. To do that, gain superuser rights with sudo su - command, and then build vmware-tools as usual. The tip above applies to general “unknown job” problem with starting/restarting services, not only to the vmware-tools build process. Yesterday Frédéric Bisson posted on Twitter an image with comparison of execution time of the same algorithm (Scrabble helper) implemented in Haskell, Python and PHP. The indicated time was respectively 0.6s, 0.3s and 5s. I know that PHP can be slow, but 5s was sluggish even for PHP. I had to do something about it, so I spent some time optimizing the code and checking possible solutions. I’ve contacted the author of the image, and apart from receiving input data file for the script, I got some information: first of all, he was using PHP 5.3, with XDebug enabled. Those two things alone showed that the initial time measurement is off scale. The author disabled XDebug, and the number went down to 1.7s. Still quite high. I’ve tested it on a stock installation of Ubuntu’s PHP 5.5 (all extensions disabled), and it was about 0.86s. Slowest of those three in comparison, but it was not that “off chart” initial number. But I wanted to know if maybe there was something terribly slow in the code. I used XDebug in profiling mode to generate cachegrind output. 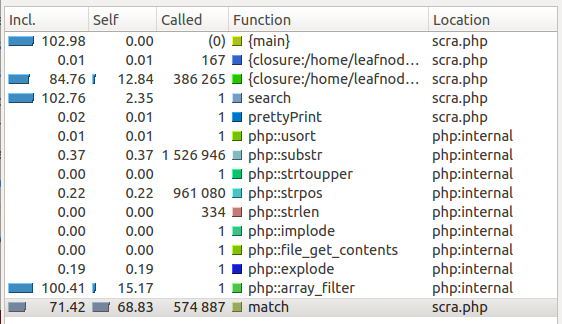 Yes, there were many function calls, but no individual call was exceptionally slow. But that was still not enough. Knowing that function calls are expensive, you might thing about rewriting recursive algorithm to an iterative version. That might not be fair while using other algorithm in other languages, but hey, you have to know your language’s strengths and weaknesses. That change was done by the author of the initial code. This change lowered execution time to ~0.55s, which is 19% gain from the previous iteration, and 36% total gain. Also, it was possible to rewrite closure to a form of a generator. That part was provided by Filip Górny on PHPers group on Facebook (PHPers is a network of Polish PHP meetups). This code allowed me to go below 0.5s – lowest run time that I achieved was about 0.49s. Not a big difference from previous version, but nevertheless noticeable. At this point I’ve concluded by toying with the code. I was thinking about looking at opcode level, but I decided that it was too much. I finished modifying the code, but I was curious if the newest achievements in PHP core could be of any help. I downloaded and compiled the so-called php-ng, a branch of PHP with experimental core modifications focused on performance improvements. As it was to be expected, I didn’t disappoint. 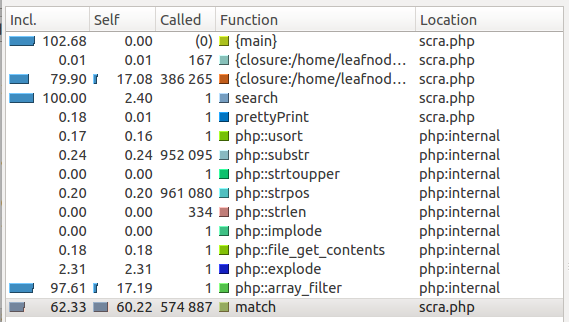 The last version of the code under php-ng was running in about 0.235s. Now that was the number that satisfied me. And that concluded my tests. Below you can find a table with run times for all executors, with 20 consecutive runs for each one. Now it’s time for some conclusions. First one is obvious: PHP can be as fast as other languages (or, better, interpreters/virtual machines of the other languages). Second, know thy language. I know that it might not be very ingenious, but languages differ. Syntax is most obvious difference, but also some languages excel in different fields than the others. Some languages prefer one structure over another. Here it was seen that it’s better to avoid too many function calls, so iterative algorithms are favored over recursive ones. Also, you have to know the ecosystem to know that there are alternative interpreters or virtual machines. Third and last conclusion is that this kind of benchmark-type comparisons are pointless (only worse are synthetic tests). It’s very easy to omit some small issue and language intricacies, and the results will differ greatly. 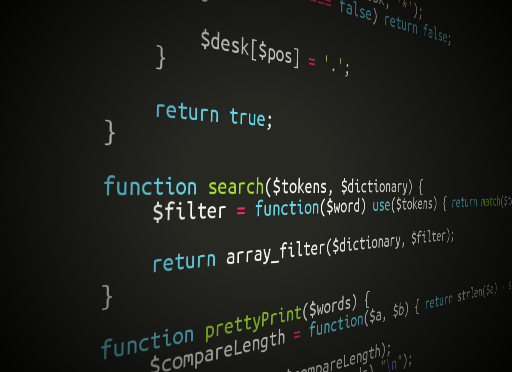 PHP is not a language that will be chosen for a large scale data analysis, and it won’t be chosen for a reason – there are better languages for that task. Is this a problem? Definitely not. There are no languages that excel in each and every application, and there’s no need for them to. We have a lot of different languages to choose, so let’s choose wisely appropriate language for a given application. With new Ubuntu 13.10 Apache has new naming scheme for sites configuration files. Because of this your virtual servers might stop working, showing default site, which is “It works!” page, or whatever you have configured for your web server. To fix the problem, you have to delete all old links in /etc/apache2/sites-enabled (maybe keeping 000-default.conf if you like), rename all site configuration files, residing in /etc/apache2/sites-available, to have .conf postfix, and then enable it again by manually creating a symbolic link to sites-enabled, or using a2ensite tool. That should do the trick. Note that a2ensite accepts only the site name, without .conf postfix. Check for permissions for /tmp directory. remove_entry_secure accepts world-writable directory in a path only if it’s /tmp, but only if that directory has 1777 permissions. The latter form is preferred, as disabling checking signatures is considered a security flaw. 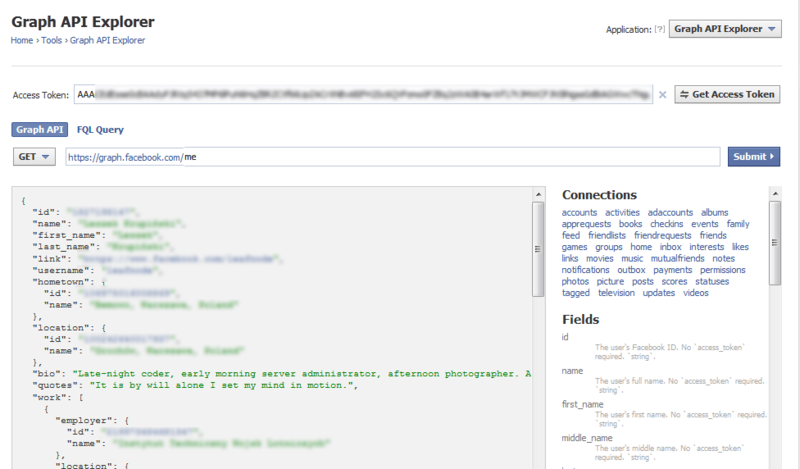 Your own Facebook User ID is required in many places, like setting admin ID on your page’s OpenGraph tags. 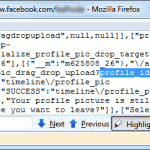 Most of advice available on the web regarding getting your own Facebook ID suggest looking at links on your profile page, but that kind of advice is usually outdated and unusable if you have vanity URL (your username replaced user ID in URLs). You can look into the profile page source and bash through tons of code, and yes, you can find it looking for some strings inside the source code, like it’s pictured on a screenshot. But it’s a tedious job, and there are more elegant ways. 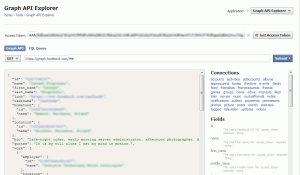 Specifically, you can use OpenGraph API Explorer, available here. Input field is already prepopulated with me value, that obviously tells the Explorer to show data for currently logged in user. 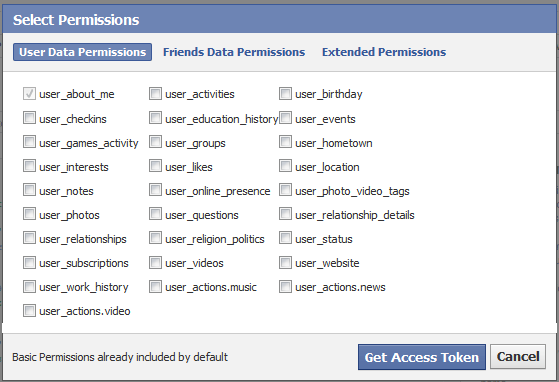 But before this could work, you have to authorize API Explorer to access your data by clicking Get access token button, choosing minimal permissions (user_about_me is definitely enough – see this screenshot), and authorizing the application in a standard way, like any other with Facebook. After granting permissions, Access Token field is populated automatically, and you can clickSubmit button to get information about your user. User ID will be the first field. When you have your user ID, you can check if it’s a proper one on the same page – just enter your ID instead of me and hit Submit – you should see your basic data.